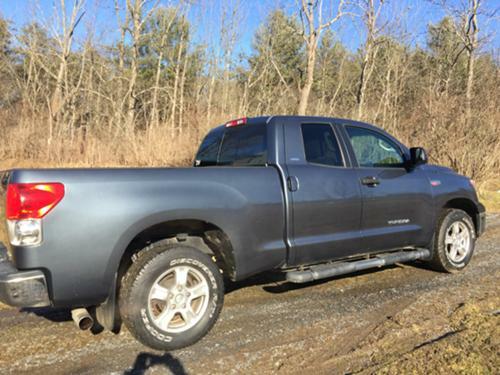 For Sale: Very clean 2007 Toyota Tundra 4WD Double Cab SR5 5.7L V8. Runs great. 140,072 miles. 6.5 ft. double walled bed. Truck bed has normal wear and tear due to use. Some rust inside truck bed due to the rubber mat. Second owner in 2010. VIN# 5TBBV541X7S466576.